I just spent a week and a half on the road with the band Swampbird. All the new people and places were so stimulating and fun that I completely and unashamedly abandoned my attempt at keeping an online tour diary (although at one point that seemed a promising endeavor). I haven’t wanted to analyze the trip because I’ve been completely immersed in it. So instead of trying to recreate a tour diary from memory (and a sleep-deprived, partied-out memory at that), I’d like to use what I’ve learned and experienced on tour to try to answer a question that might be on your mind: Is Swampbird for real? The band certainly has its detractors who would say “no.” I’ve talked to people who view the band solely as a group of self-aware liberal art school graduates who put on a campy southern shtick and sing about cliché country experiences they’ve never actually had. Truly, Zac Hale has never “shot [a man] for a mean look in his eye.” While singers and bands stretch the truth or write completely fictional songs all the time, I think Swampbird gets criticized because their fictions seem so far-fetched from who they are as people offstage. Yet this criticism is only valid if you think Swampbird is trying to be serious. So the question remains: Is Swampbird for real? If you asked the band this question at their very first band-practice in the fall of 2010 at Hendrix College, they too would have said “no.” They’ve expressed to me multiple times that at first they really just used the band as an excuse to drink whiskey and party. Their very first songs (like the song “Bottle”, quoted above), were silly caricatures of the country-western style. They were just having fun playing music, cracking each other up, and performing at house parties. The problem is, when you try to write a caricature of a country-western song, you end up sounding a lot like a country-western song. The other problem is, the Swampbird boys are actually talented musicians and thoughtful songwriters. Thus, even though they were not exactly “serious” about the band, they consistently entertained both themselves and their audiences with their performances and Swampbird gained enough momentum to continue past the band members’ college life. Flash forward to 2015 and Swampbird is still having fun playing music and cracking each other up, but they have clearly upped the ante. They still perform the freewheeling Hendrix-era classics like “Bottle” and “1,2,3,” but now accompany them with poignant and nuanced autobiographical numbers like “Ally’s Song” and “Brussels.” As the songs have matured, so have the venues. Though I’m positive they’d still enjoy rocking a house party, Swampbird now performs on major stages both in Arkansas and around the country. They’ve even filmed multiple professional music videos, one of which (Matter of Time) has over 10,000 Youtube views. Swampbird has left the swamp. Despite all of this, I admit that I too wondered if these guys were actually serious about music, or merely using it as a fun drinking game. Regardless, I agreed to go on tour with them because I wanted to see some exciting new places, because I knew I would enjoy playing their songs, and because I like all of the band members as people. But like the beginning of all of my good relationships—playing in bands is a lot like dating by the way, but that’s for another blog post— I was just looking to have a casual good time and ended up connecting in a much deeper way. From Alabama to Maine, Swampbird showed me an amazing good time and won me over both musically and personally. The tone of the tour was set on our drive to Birmingham. Dylan, who is currently in Canada, homeless and recording an album with Daniel Romano (aka living his dream), needed to call to cancel his electricity at his former apartment. Discovering he had a refund check in store from his initial deposit, he asked Zac if he could have it sent to his house and then asked the customer service operator if he could put it in the care of his friend. All parties agreed. When she asked Dylan for the name of his friend he had a moment of inspiration: “yes it’s first name Za, that’s Z, A.” spoken calmly “and last name Kale, like the leaf.” Forever after on tour Zac Hale was referred to as Za Kale, most often in a Jamaican accent. From “Wawawawawawawawa,” to “praise him” to “can you feel it” to “take me home tonight,” the inside jokes amassed on tour and the laughs came easy. 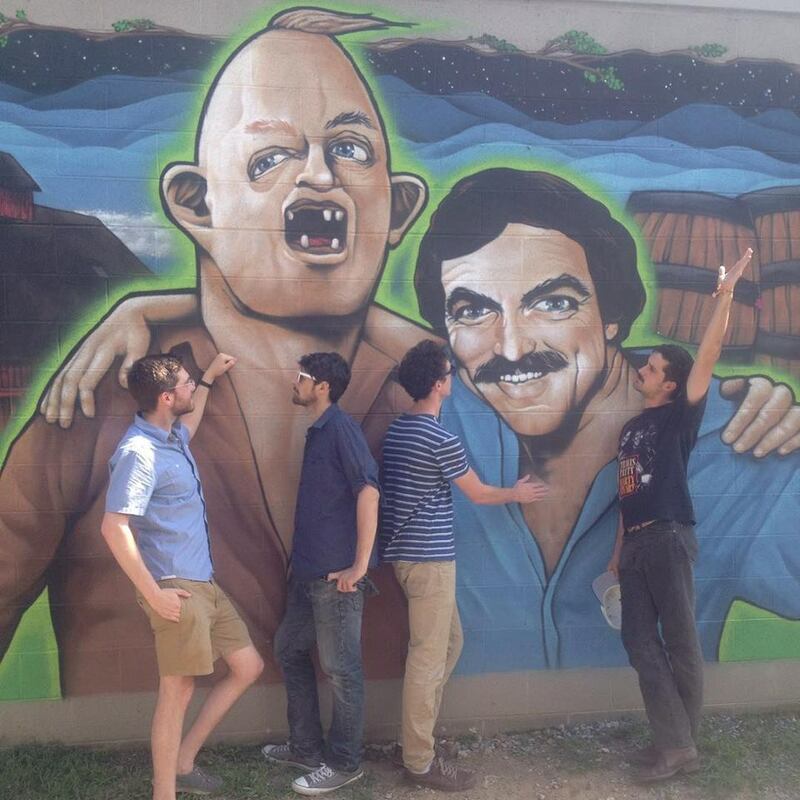 Our second to last show was at a brewery in Portland, Maine on a beautiful sunny, temperate afternoon. The combination of an emotional tour, sleep deprivation, chemical enhancement, and cowboy music had us compulsively laughing onstage both between and during songs— it was great. Indeed I’ve learned that the best way to approach Swampbird is with a touch of humor— they do. Honestly I laugh every time I hear the opening line to their song Gasoline: “Momma I quit talkin’ to Jesus, but I’m too ashamed to let you know, I put my faith in this goddamn rodeo.” From talking to him I understand that this is actually pointing to a real sorrowful feeling and experience in Dylan’s life, but this line is delivered in such an over the top classic-country way, that it is always funny to me. Swampbird intentionally exists in this grey area between humor and heartbreak and I think this is a brilliant element of the band— you can choose to either laugh or cry within the same song. This is nothing new; from it’s earliest incarnations, country music has always walked this line. Just ask Hank Williams. Yet Swampbird’s playful and sometimes irreverent attitude is perhaps what rubs some listeners the wrong way and leads them to question the band’s sincerity. I believe that they are simply following in the footsteps of innumerable self-aware country artists who weave between irony, obscenity, and honesty (e.g. Kris Kristopherson, David Allan Coe, Drive-by Truckers, etc.). Not everyone will appreciate Swampbird’s lyrics— this is fine (I’ve written before that it is better to be loved by some and hated by others than kinda-sorta liked by all). 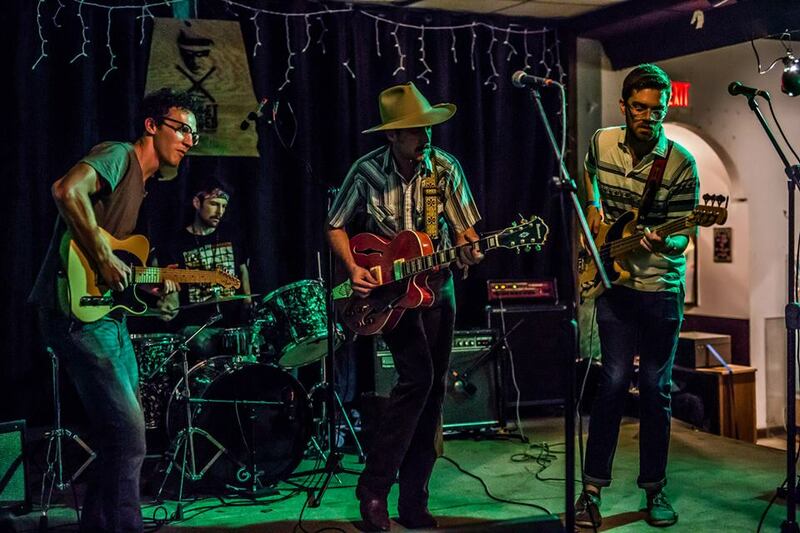 Yet if you listen to more than the words, you’ll notice that Swampbird does some very interesting things with the musical elements of their songs. None of the band-members are classically trained, but they use what they know about music in very clever ways. Going from loud to soft (and vice-versa) is something that everyone innately understands and responds to, yet many young bands totally disregard this effect and very few bands I know utilize dynamic volume as well as Swampbird. Furthermore, most bands overall play far too loud and drown themselves out— Swampbird doesn’t necessarily play soft, but stays low enough for every part to be heard coherently. Harmonically the band isn’t reinventing the wheel, but they are not writing the same I-IV-V chord songs that everyone and their mom has already written. They often use familiar chords and progressions, making their songs easy to listen to and understand, but vary them enough to keep both the audience and the musicians entertained. I’d like to pull out my music major/gigging guitarist credibility card and tell you to trust me when I say that Swampbird writes musically rich songs. They also build in moments of improvisation into most songs so that live performances are not merely cookie cutter renditions of their album recordings, but spontaneous and unique moments. I took full advantage of this fact and flexed my improv muscle at every gig we played on tour (Zac and Dylan delightfully laughed at me for never playing the same thing twice). I had so much fun playing these songs. In addition to their song structures, Swampbird also handles the logistics of band management with great organization and planning. Dylan did a wonderful job of booking this tour, asking other bands and artists about each venue, and making sure travel lengths and lodging plans were all feasible. Additionally Zac operated as band treasurer during the tour, keeping tight records of all of our income and expenses (he also did a wonderful job calling and researching rental cars for the ride home). Pete Campos operated as band manager/free-safety, taking care of our payments, selling merchandise, driving the van, and selflessly letting us have the best sleeping spots wherever we stayed. Paul and I pretty much just played drums and guitar. Additionally when faced with difficulties, the band was never too flustered, but handled it with reason and direct solutions. In Boston, we stayed at the house of Dylan and Zac’s larger than life college buddy Conner (affectionately known as “Corn-dog”). We all stayed up far too late drinking and telling stories, and in the morning Dylan and Conner were abruptly awoken by Conner’s roommate: “Conner! You gotta go to work, you’re late! … Oh, dude, your van’s getting towed.” Dylan ran outside just in time to see the van getting pulled away. Dylan went back inside, slept another hour, found the place it was impounded, walked all the way there, paid for the van, and returned to pick us up.Naturally he was a bit surly about the whole ordeal, but simply solved the problem without even waking us up. Yet the true measure of a band’s viability is not in its organization, songwriting, or attitude, but in the way it relates to people. Fans are a band’s life-blood. From my very first Swampbird show, July 27 at The Whitewater Tavern in which dozens of people were singing along to the swamp songs, I’ve been pleasantly surprised by how well people respond to this band live. Excluding Knoxville (Knoxville was a bummer except for all the money and pizza the venue gave us— thanks Barley’s), we either played to current fans or won new fans everywhere we went. Our last performance of the tour was an impromptu outdoor show literally on the sidewalk of downtown Portland, Maine in the middle of the afternoon. We had a few friends come listen and Paul had some family there supporting him, yet the majority of the audience members were simply passersby who decided to stick around. No one is going to get rich playing on the side of the road, yet the street is the oldest stage in the world, and perhaps the truest test of your appeal as an artist. There was no reason for anyone to stay and hear us play— if anything there was reason for them not to stay, assuming they were on their way to some other location— yet we won them over merely by merit of our sound (well, perhaps our look as well, but whatever it takes). So, is Swampbird for real? Undoubtedly, yes. They are playing major shows, going on national tours, recording and selling albums, filming widely seen music videos, getting great press, and writing good music. Yet this doesn’t mean that they take it all too seriously. They still like to laugh, party, and hangout and during live performances you can tell that they are enjoying themselves. Personally, I find their attitude refreshing. Too many artists are completely humorless about their art. Certainly art can approach any subject, and certain tragic topics deserve to be handled solemnly, yet ultimately the act of creating art is obscure, ineffable, and useless. I appreciate Swampbird for having fun with it. Big thanks to Nick, Morgan, Conner, Tim, and the Mallet Brothers Band for giving us places to stay and showing us the time of our life!